This harwood desk features a ash black laquer base with a solid dark walnut top with maple inlays. 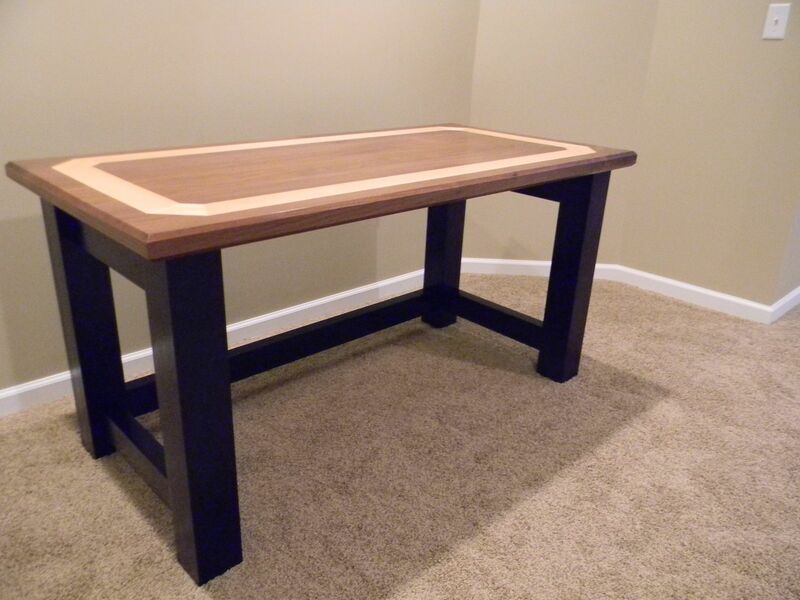 Beautiful solid hardwood desk. Excellent craftsmanship. Very fair price. Excellent protective shipping packaging. A real pleasure to work with. I highly recommend Kurtis Sickel at Black Swamp Furnishings.